The Trump administration is considering the issue. 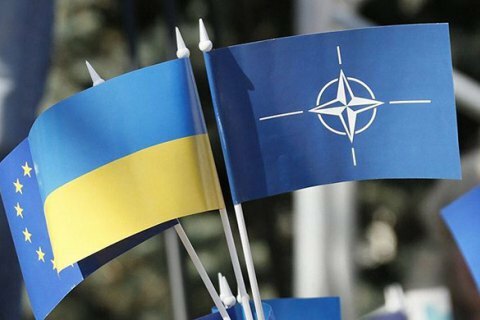 Kyiv hopes the US position on the prospect of Ukraine's membership of NATO will play a decisive role in the talks with partner states on the country's Euro-Atlantic bid, the head of Ukraine's NATO mission, Vadym Prystayko, has said at a conference in Kyiv, answering a question from LB.ua. "All NATO members are equal of course. However, as Orwell put it, some are more equal than others… We expect that if one of NATO leaders is inclined the way Mr Bolton promised, I think, this decision will pass more easily," Prystayko said. Earlier, US National Security Advisor John Bolton said after the talks with the Ukrainian authorities that Ukraine's accession to NATO was on the agenda of the Donald Trump administration. Many NATO members, however, oppose Ukraine's bid. During a visit to Georgia on 24 August, German Chancellor Angela Merkel said Georgia would not be able to join NATO and the EU any time soon.